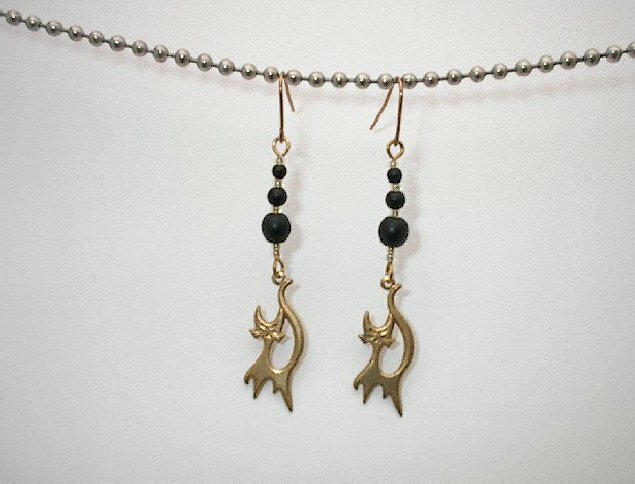 The lady who loves cats will love these clever dangle earrings. 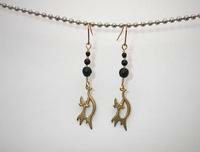 They feature a pair of stylized brass cat charms made in the 1950s. 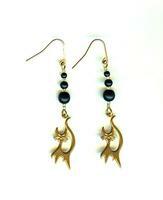 The length of the dangle earrings comes from a trio of matte black glass beads that graduate in size from 3mm to 6mm. The dangle earrings measure about 2-1/2? from the tops of their simple hook findings. They?re a terrifically charming pair of dangle earrings from SPARKLE PLENTY.